Shop.com - Earn $ for yourself & the Stony Creek Anglers - Click For More Info! 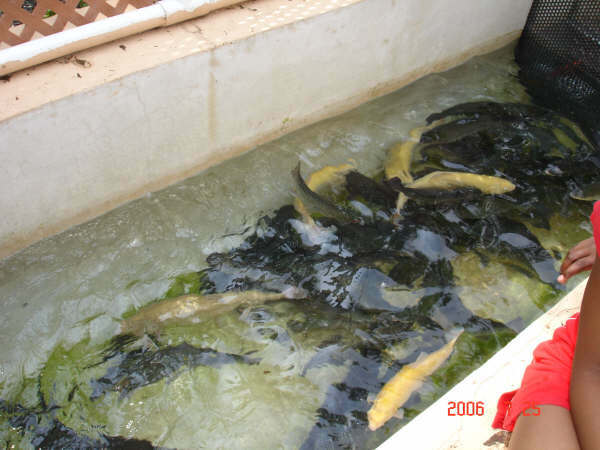 Montgomery County's only co-operative trout nursery; located adjacent to the Norristown Farm Park, Norristown, Pennsylvania. Stony Creek Anglers is an IRS recognized tax-exempt 501(c)(3) non-profit organization. Donations are fully deductable, as allowed by law, for Federal Income Tax. Are you an avid trout fisherman? Ever wonder how so many trout are stocked in local streams each year? 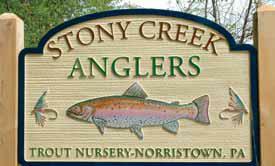 Stony Creek Anglers is a co-operative trout nursery with the Pennsylvania Fish and Boat Commission and we are searching for new members. If you enjoy the thrill of fishing, community involvement, and have some spare time to volunteer, we would very much welcome you to join. Stony Creek Anglers aims to provide a meeting place in Montgomery County for all Sports persons of good will - to foster Conservation of Fishing Areas and Game Lands in our Commonwealth - to encourage the protection and propagation of all Wildlife, Game, and Fish - to develop opportunities for the greater enjoyment of Hunting, Fishing, and other outdoor recreation, and to search for solutions to problems of Ecology and Pollution of the natural resources on our Community and Commonwealth. The 2019 SCA Lottery Calendars are now available. As you know, these calendars are hugely popular and sell out quickly! Please be certain to order your calendars as soon as possible. Joe Bednarz at jbednarz.onorbit@gmail.com to purchase your calendars. Just a reminder to purchase your 2019 PA Fishing License and Trout Stamp. 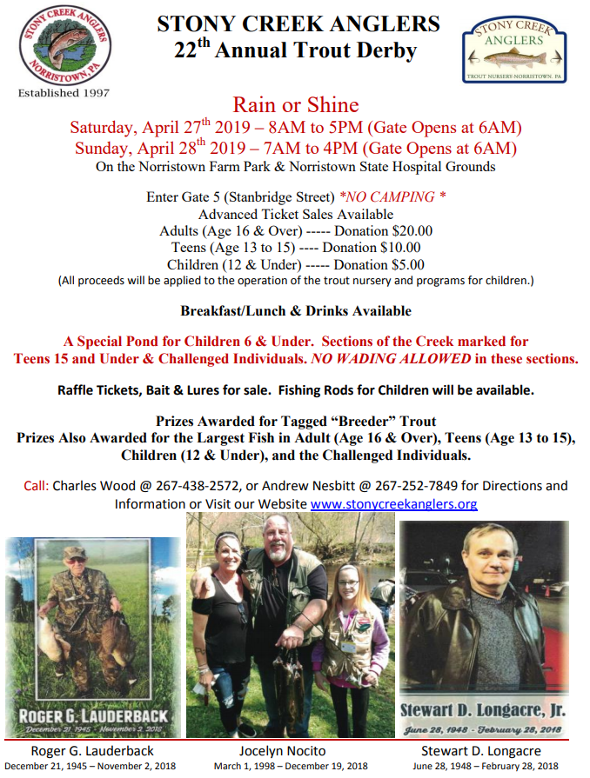 The Regional Opening Day* of Trout Season is Saturday, March 30, and the State Wide Opening Day is Saturday, April 13, 2019. In addition to the cost of your license, the PFBC will be charging $3.00 for the Summary Booklet. *The Regional Opening Day of March 30, 2019 pertains only to the following counties: All waters in Adams, Berks, Bucks, Chester, Cumberland, Dauphin, Delaware, Franklin, Juniata, Lancaster, Lebanon, Lehigh, Montgomery, Northampton, Perry, Philadelphia, Schuylkill and York counties.